According to a recent article from NBC Los Angeles, two staff members at a caregiver facility in Rancho Cucamonga were accused of elder abuse in the cases of two residents, and investigators indicate that “there may be more victims.” When we think of caregivers and elder abuse, we typically think of scenarios that occur outside nursing home settings. However, it is important to remember that employees of nursing facilities are responsible for providing proper care to seniors. In the recent case, authorities made clear that the victims themselves were “unable to communicate,” yet police obtained evidence to support allegations of dependent adult abuse. What else do you need to know about caregiver abuse? According to a publication from the National Center on Elder Abuse (NCEA), caregiver abuse is commonly a crime that occurs within families. By taking a close look at the publication, we can address some of the factors that may play a role in situations of caregiver abuse within and outside a senior’s home. If caregiver stress is not the primary cause of elder abuse or elder neglect, what is its relation to this large-scale problem? What researchers do know is that caregiving can cause stress, but the reasons for increasing stress levels may have less to do with caregiving in general and more to do with the personality types of those involved in the caregiving arrangement. 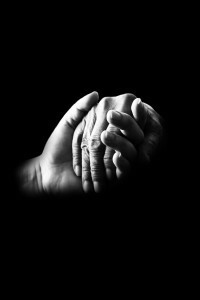 The NCEA emphasizes that “Caregivers’ stress levels are affected, to a great extent, by how they feel about their caregiving responsibilities and the people for whom they provide care.” For instance, caregivers who described their patients as “manipulative, unappreciative, or unreasonable” reported higher levels of stress. Additionally, caregivers who were performing this role out of guilt also indicated that they experienced more stress than others in similar situations. Yet experiencing stress does not mean that the caregiver will abuse the patient. In addition to depression, low self-esteem among caregivers has proven to be a relatively reliable predictor when thinking about the risks of elder abuse. But the key takeaway from the publication is this: each caregiving situation is different, and subjective factors—rather than objective ones—tend to be more indicative of whether an elderly adult may be at risk of abuse. As such, it is important to pay careful attention to your elderly loved one’s situation and to the individual characteristics of his or her caregiver. If you have concerns about elder abuse or neglect, you should reach out to a dedicated San Diego elder abuse attorney. Contact the Walton Law Firm today to learn more.